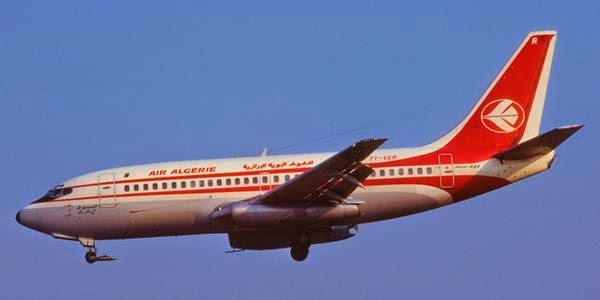 An Air Algerie plane crashed on Thursday en route from Ouagadougou in Burkina Faso to Algiers with 116 passengers, including 50 French citizens on board, the airline company said. On the official Twitter account of Air Algerie, it says that the plane went down about 40 miles from the Malian city of Gao. Algerian news agency APS has reported earlier that air navigation services lost track of AH0517 about 50 minutes after takeoff at 0155 GMT (9:55 p.m. ET Wednesday). Algerian aviation official told Reuters that the plane had crashed but did not give additional details of the incident. Swiftair which operates Air Algerie, Algeria's national airline, says 110 passengers and 6 crew were aboard. The aircraft is an MD-83, according to Reuters. Among the passengers are 24 citizens of Burkina Faso, 8 Lebanese, 6 algerians, 5 Canadians, and four Germans, Air Algerie said on Twitter. Flight AH 5017 flies the Ouagadougou-Algiers route four times a week, AFP reported. It was supposed to land in the Algerian capital at 0510 GMT (1:10 a.m. ET Thursday), according to the Algerian newspaper The Daily Star.